In the future, time travel is a reality. In the present, time travelers are a nuisance. The newest candidate for mayor of New York City has a strange charm. It's as if he knows the best things to say to appeal to everyone in the city. It's almost like he knows what people will like before he even says it. That's probably because he's a traveler from the future. And June Moore can't let him get away with manipulating the election and messing with the timeline. As June tries to stop the candidate's campaign, she learns that the candidate has a tool that's more powerful than she's faced before. And when he sends her far out of his way, June must find a way to get home in time to stop him from winning and changing history. How will June stop a traveler who has thrown her out of her world, threatened her friend's life, and gained more points in the polls than anyone thought was possible? 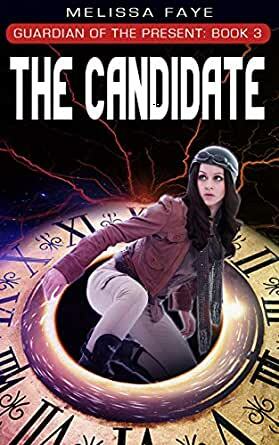 The Candidate is Book 3 of Guardian of the Present, an eight book series of novellas that will appeal to fans of Buffy, Veronica Mars, and Looper. Buy The Candidate now! It's about time.